Now is the time to begin cleaning up your yard. This includes removing plants which may have died over the course of the summer and making room for new bulbs to be planted. 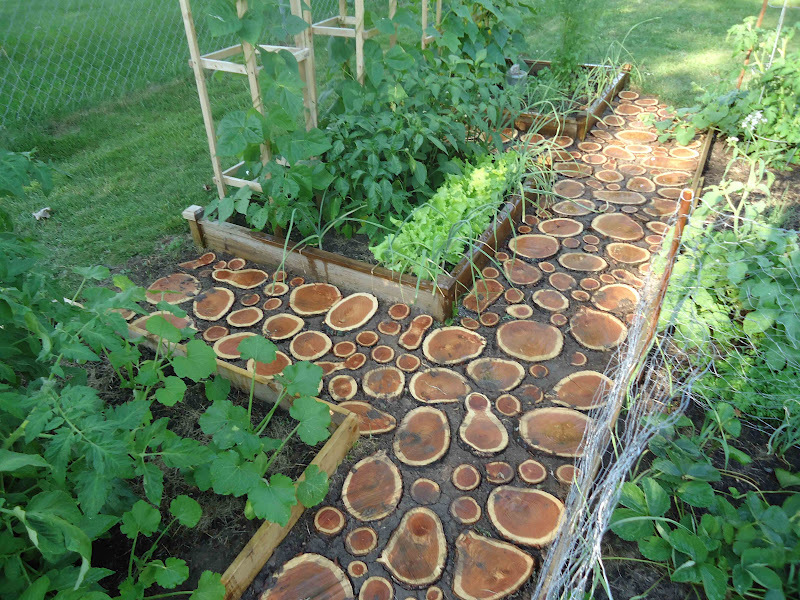 While normally having to cut down a failing tree in your yard may make you sad, at least you can use the wood in a creative way! 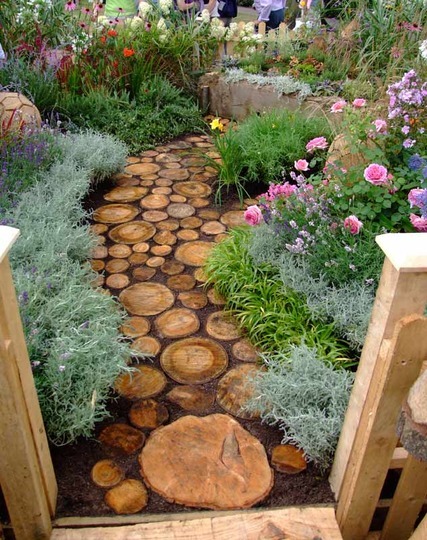 Why not make a Log Path inspired by this photo from the Sherwsbury Flower Show? Thanks to our friend Pinterest, we were able to find a post on how to re-create this masterpiece. Also, since the blog author wrote the post a bit ago, she has some new learned tips to pass on! 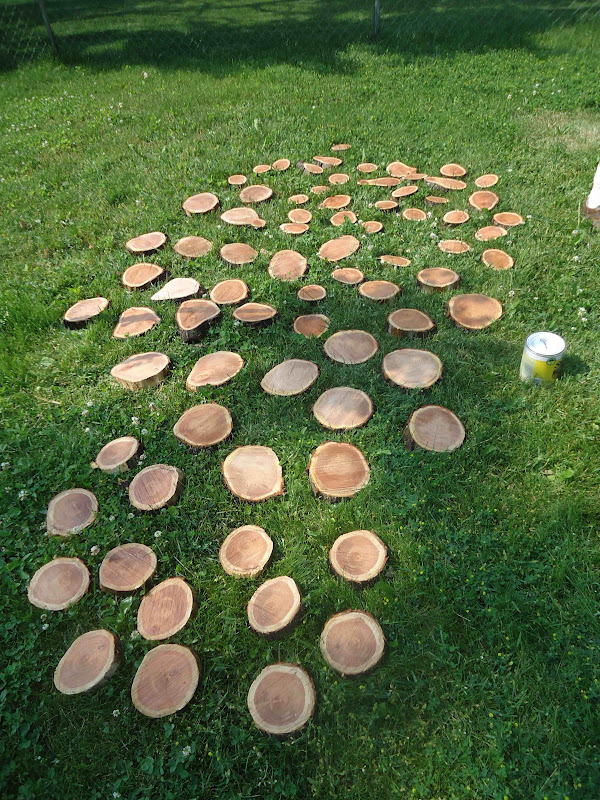 Here is what you’ll need to complete this project: an old tree (or a variety for different size steps), a saw, and a sealant that provides UV projection (think deck stain). We think this would look amazing along a garden path! It creates just the perfect touch of wood without dishing out the money and time required for a complete wooden walkway made of 2x4s. 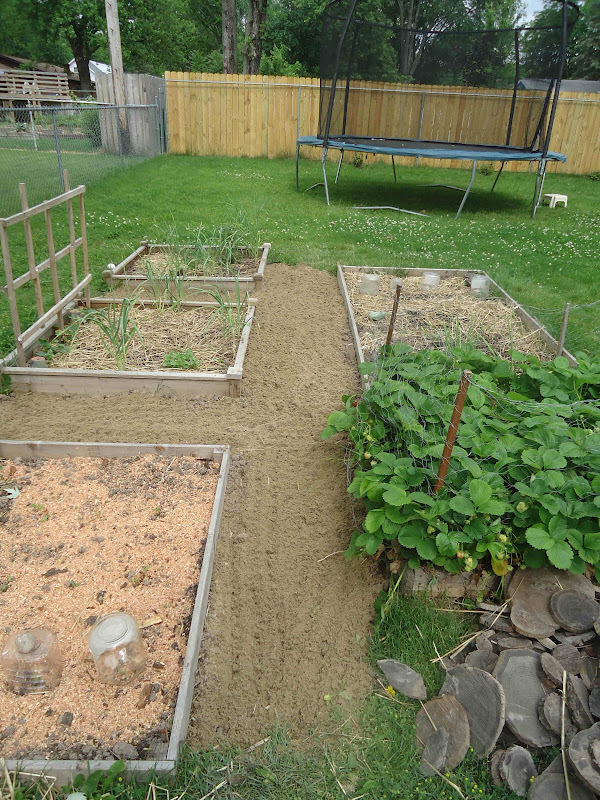 Another great idea was to add groundcover plants in between. Like most home projects, the possibilities are endless!